John Mueller, webmaster trends analyst at Google announced in a Google+ post: the search engine will no longer take into account the tag rel =author and attributed it to date. The news came as a surprise to one: that proposed by the Google functionality seemed consistent to improve the relevance and significance of the results but more importantly, allowed to highlight its social network Google +. According to Mueller, Authorship has failed to prove its effectiveness and does not really increase the traffic of a website. It also does not affect the number of clicks on advertisements.different opinions on this change. Now that Google has removed authorship from search results what are the impacts on SEO? 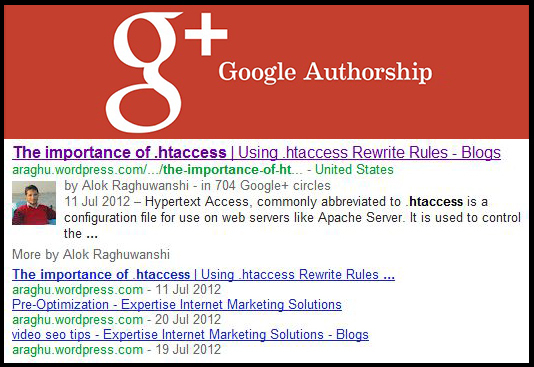 This article by Danny Sullivan on Search Engine Land explains the difference between authorship and author rank. HubSpot’s Danielle Herzberg, Senior Sales Manager writing a great new blog post & this post originally appeared on the HubSpot Sales Section.